Austral Bricks is excited to be the Principal Partner of the Australian Exhibition at the 2018 Venice Architecture Biennale. Register for your chance to be a member of the 2018 Austral Bricks Club, receiving exclusive benefits in association with the opening of the Australian Exhibition at the Venice Architecture Biennale. 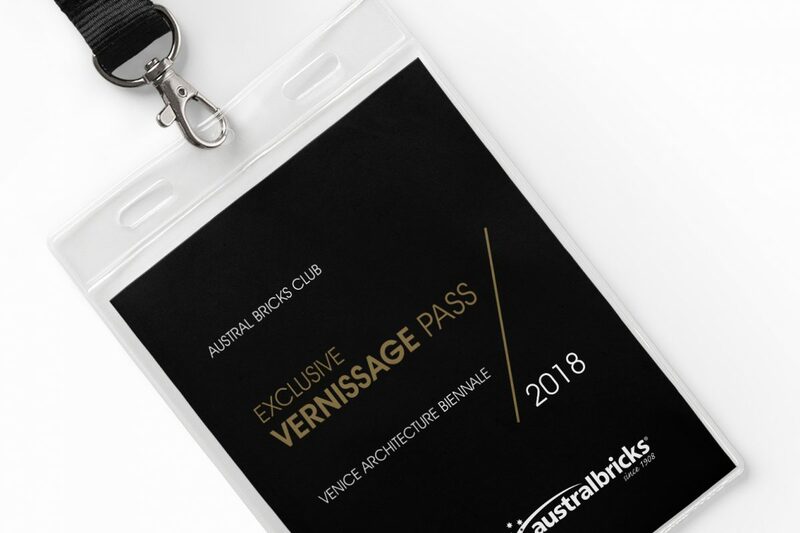 Visit www.australbricks.com.au/club for your chance to secure a Vernissage Pass. Entries close on the 28th Feb 2018.